In his October 1, 2012 Opinion in the case of Minor v. Erie Insurance Company, No. 2009 - CV - 1579 (C.P. Lacka. Co. Oct. 1, 2012 Minora, J. ), Judge Carmen D. Minora of the Lackawanna County Court of Common Pleas rejected the carrier’s Motion for the judge to recuse himself from further involvement in this matter involving an insurance coverage dispute. This matter arose out of a first party medical benefits dispute involving approximately $20,000.00 in medical bills and attorney’s fees. The case initially went through a court system arbitration at which the Plaintiff prevailed, followed by an appeal up to the jury trial level. The parties came before Judge Minora at a Settlement Conference. At the conference, the Court recommended that the parties settle, given the time commitment, the costs associated with a jury trial, and given the relatively small amount of money at issue. The Defendant moved for the Court to recuse itself under an argument that the Court had shown bias towards the Plaintiff at the conference. The Court denied the motion and the Defendant moved for a reconsideration of that decision. In this Opinion, Judge Minora denied the Defendant’s Motion for Reconsideration. Judge Minora's detailed Opinion provides a thorough recitation of the standard of review by a trial court judge for a motion for recusal. In its ruling the Court in this matter noted that, generally speaking, a party seeking to recuse a judge must show evidence of bias, interest, unfairness, or other disqualifying factors. The Court must then make an independent self-analysis of its ability to be impartial, followed by an analysis of whether the Court’s continued involvement in the case would create an appearance of impropriety. The Court in this matter concluded that it made an impartial decision that the Defendant had not made a good faith effort to resolve the case during the Settlement Conference as required by the Pennsylvania Rules of Civil Procedure. The Court also determined that its continued involvement in the case would not create an appearance of impropriety. The Court noted that it would be the jury, not the Court, that would render the ultimate decisions on the issues presented at trial. As such, the motion for recusal was denied. 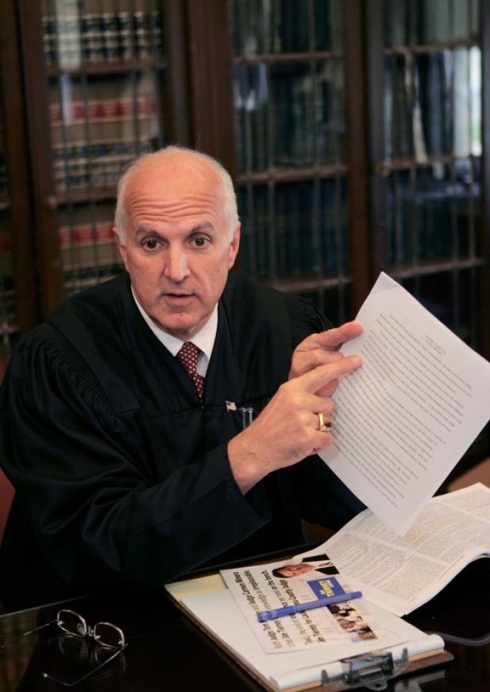 Judge Carmen D. Minora of the Lackawanna County Court of Common Pleas recently had another opportunity to address the issues surrounding a cause of action for negligent entrustment in the case of Guffey v. Kyriazis, No. 2009 - CV - 2308 (C.P. Lacka. Co. Sept. 21, 2010 Minora, J.). In this matter, Plaintiff’s vehicle was rear-ended by the Defendant driver, who was allegedly under the influence of alcohol at the time of the accident. After the accident, the Defendant driver fled the scene and hid in his basement. When the police arrived at his home, the Defendant allegedly fled through the back door. The Plaintiff claims that the Defendant driver fled because he was intoxicated. The Plaintiff filed a Complaint against the Defendant driver and the owner of the Defendant’s vehicle. According to the Opinion, both Defendants co-owned the vehicle. The Defendants moved for partial summary judgment under an argument that one co-owner of a vehicle cannot “entrust” the vehicle to the other co-owner under the context of a negligent entrustment claim. Judge Minora noted that §308 of the Restatement (Second) of Torts defines the tort of negligent entrustment as when an actor permits another person to use a thing or engage in an activity when the actor knows or should know that the individual is likely to create a risk of harm to others. The Court also noted that Pennsylvania law has further established that the tort of negligent entrustment applies in a motor vehicle accident case when the owner of a vehicle entrusts that vehicle to an intoxicated person. Accordingly, the Court dismissed the non-driver co-owner Defendant from this matter. Judge Minora further ruled that the Plaintiffs did not have sufficient evidence of the Defendant driver’s alleged intoxication to support a claim of reckless indifference against that Defendant. The Court noted that proof of intoxication is relevant to a recklessness claim and that some Courts have held that a Plaintiff must present corroborating evidence on the issue of intoxication in order to pursue such a claim. In this matter, the Plaintiff was unable to present any evidence of intoxication on the part of the Defendant driver because he had fled on the night of the accident. Judge Minora held that the mere act of fleeing was not enough to establish that the Defendant driver was intoxicated as there may have been numerous possible reasons for that Defendant’s actions. As such, the Plaintiff’s claim of reckless indifference was dismissed as well. Anyone desiring a copy of this decision in Guffey v. Kyriazis may contact me at dancummins@comcast.net.